— The Regional Information & Communication Exchange (R.i.C.E.) was established in 1967 as a fee-based information service operating as a cost-recovery center within the division of community services of Fondren Library. It provided library and research services and document retrieval for the nonacademic community that would otherwise not have access to the exceptional resources of a university library. Most clients were Houston-based companies utilizing the service to supplement their corporate libraries and information centers, or use as an off-site company resource. The cost-effective resource offered its technical expertise of reference and document-retrieval specialists by offering accurate, current and complete information mainly through electronic means. Note that the “Information” initial is now lower-case: RiCE. I wonder if there were any intra-Rice copyright issues with an all-upper-case acronym. The machine itself is a computer tape-storage read-write data-storage device. No logo is evident, but I’m sure other readers will know more details about it. 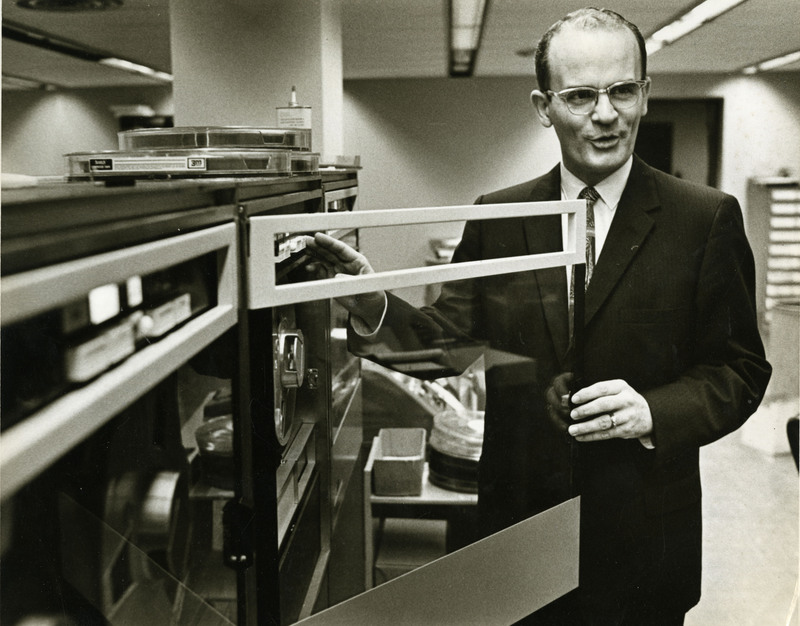 I think the first photo could be in the basement of the then-new wing of Fondren, and the tape drives would have been 7330s or similar attached to the IBM 1401 that I worked on there with Fred Ruecking. 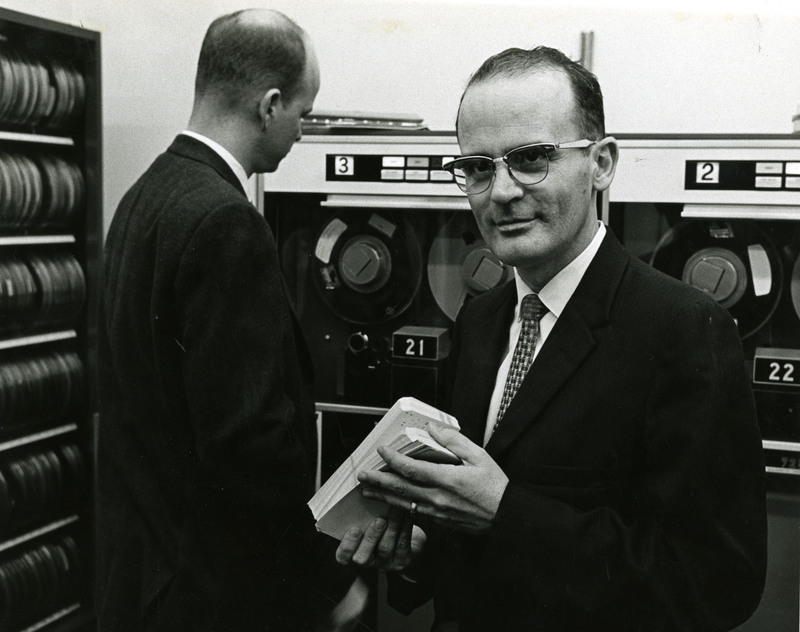 I thought for a moment that the taller man in the second picture was Fred, but now I think it looks more like Bill Paling, which might mean that picture was taken in the Research Computation Laboratory in Abercrombie. I don’t know that R.I.C.E. ever used the 7040 there, but the drives in that picture do look more like the 729 family. Bill Paling was my first impression, as well, Mark. Sounds like RiCE was basically subscription Google before there was Google, or, importantly, the web. The device Kathy mentioned was called an acoustic coupler. I used them long ago, too.